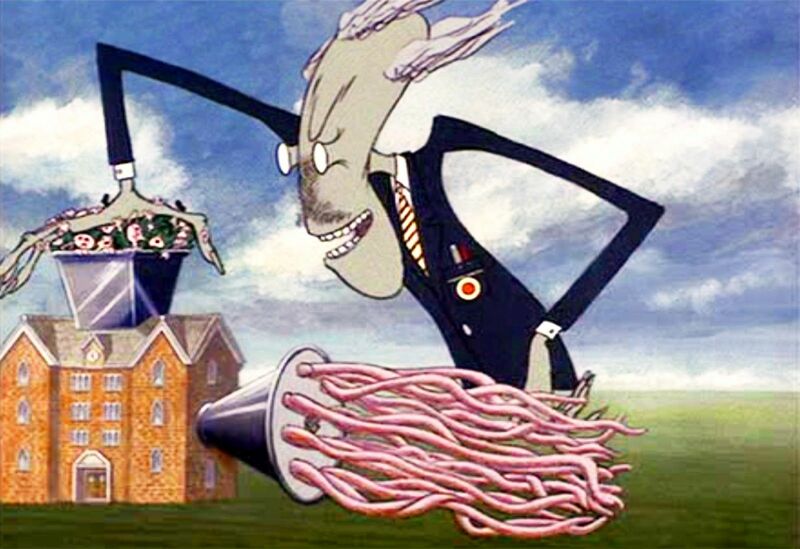 The Wall is the 11th album of Pink Floyd, released in November 1979. It has a very theatrical style; some call it a rock-opera. It was a real success, with more than 11.5 million album sold. The main themes are abandonment, frustration and personal isolation. This album also has an anti-militarist and politically orientated message. This is stunning set of creations. I just wonder how would Yellow submarine be done by you? I've never really liked this LP, maybe because of its darkness and all the feelings of Roger Water. Hard to hear when you're a teenager. Anyway, I remember quite well the jacket, so I can appreciate your excellent work and a beautiful "esth�tique". Excellent work served by beautiful pics. Quoting Clayton Marchetti Fantastic job Yann! I love how you made the lettering. Outstanding! Fantastic job Yann! I love how you made the lettering. Outstanding! Quoting David Roberts "...When I was a child, I caught a fleeting glimpse, out of the corner of my eye..." I'm don't think that it was of this MOC though! A welcome return of your album cover series, with a real tour de force. I like the way that you've made the heads of the hammers. 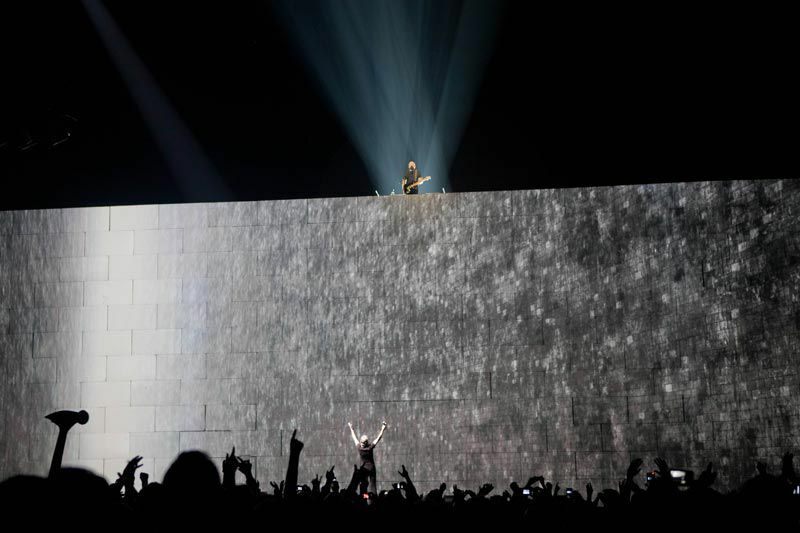 Yeah, Comfortably Numb is a masterpiece ;-) Thanks for the feedback! Wow, that's a longuer comment ;-) Yeah I also tried Comfortably Numb; the first solo is quite simple to be fair; but I got the wrong material to make it sound perfect (I'm playing on a Epiphone Les Paul Standart, and a Orange Crush 12 watt amp ...). I never was a big fan of Def Leppard; I know 2 or 3 songs; that's all; and I also never was a big fan of Ibanez (why buy a Ibanez that looks like a Stratocaster if you can have a Stratocaster? ) ;-) 'In the flesh' is also quite simple to play ;-) What amp are you using btw? Quoting Sam Sanister Wonderfully weird! Thanks Nick! Glad you liked it! Quoting Henrik Jensen Very nice tribute to this brilliant album and film. I guess it wasn`t released here in Denmark before 1980, I remember I saw it in the Cinema in �lborg, great movie! Nice Work Yann! Thanks Henrik! Have you seen the "new" movie? 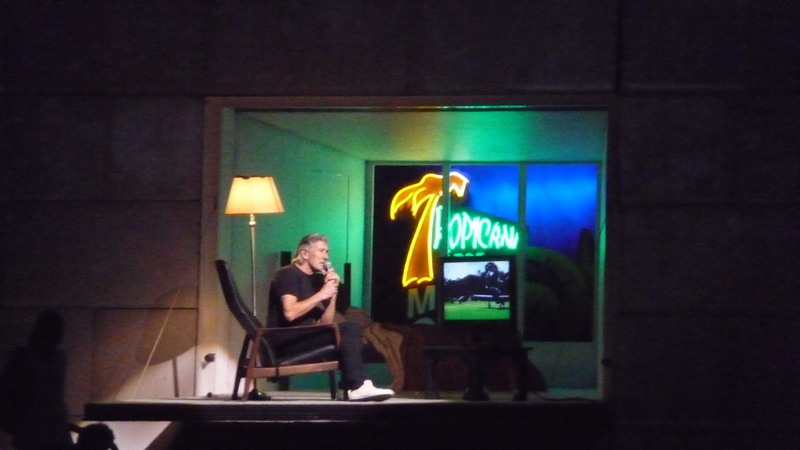 Roger Waters recorded one of his concerts in 2012 and made a film out of it. It was worldwide in cinemas the 29th of september. Quoting Sam the First Really nice work Yann! Loving those hammers! Quoting Matt Bace Awesome work! I really like the hammers -- simple, yet very accurate. Quoting Kermunklin the Giant Evil House Head This album is not a personal favorite of mine, but you certainly nailed the cover and artwork. Quoting Alex Sonny Hey you, out there in the cold, getting lonely getting old.... One of my favourites. A wonderful homage, the imagery from the cartoon and show is wonderful. Thanks ALex! Glad you liked it! Very nice tribute to this brilliant album and film. I guess it wasn`t released here in Denmark before 1980, I remember I saw it in the Cinema in �lborg, great movie! Nice Work Yann! Really nice work Yann! Loving those hammers! Awesome work! I really like the hammers -- simple, yet very accurate. This album is not a personal favorite of mine, but you certainly nailed the cover and artwork. "...When I was a child, I caught a fleeting glimpse, out of the corner of my eye..." I'm don't think that it was of this MOC though! A welcome return of your album cover series, with a real tour de force. I like the way that you've made the heads of the hammers. Hey you, out there in the cold, getting lonely getting old.... One of my favourites. A wonderful homage, the imagery from the cartoon and show is wonderful.